"Here at last is a handbook that covers all Aegean islands excepting Crete through their prehistory, from the Paleolithic era to the end of the Bronze Age. 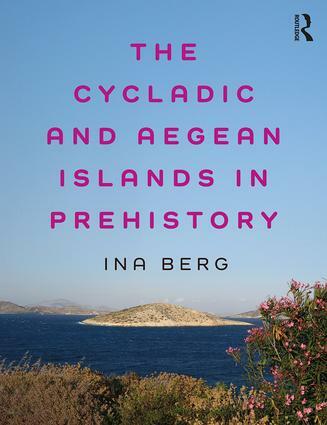 Sensibly organised in chronologically sequential chapters, each further broken down into a recurring topical format, Berg’s representation of Aegean island archaeology is clear, full, and richly illustrated – a truly valuable teaching manual. Her synthesis of the rapidly accumulating evidence for the Paleolithic exploitation of Aegean islands is timely, while her assessment of where things stand in the ongoing controversy over the date and impact of the Theran volcano’s catastrophic explosion early in the Late Bronze Age is both wide-ranging and fair." Ina Berg is a Senior Lecturer in Archaeology at the University of Manchester, UK. Her specialist area is that of the prehistoric Cyclades with particular interests in pottery studies and island archaeology. She is currently working on a research project that investigates the social and technical dimensions of the potter's wheel in the Aegean Bronze Age. She has a recognised international profile as indicated by her publications, invited contributions and visiting fellowships.